I'm trying to create a weekly query. from Mon to Sun. I tried format ([time],"ww") but can't understand how it works. I'm not sure where you are going with this so I just made a sample from one of my tables. Thank you. How does "ww" define a week?
' Calculates and returns year and week number for date datDate according to the ISO 8601:1988 standard.
' 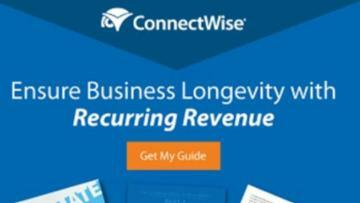 Optionally returns numeric year and week.
' 1998-2007, Gustav Brock, Cactus Data ApS, CPH.
' May be freely used and distributed. Const cstrSeparatorYearWeek   As String = "W"
' OK, week count of 53 is caused by leap year.
' Correct for Access97/2000+ bug.
' Adjust year where week number belongs to next or previous year.
' This is an early date of January belonging to the last week of the previous year.
' This is a late date of December belonging to the first week of the next year. You should look up the syntax for Format() and that will tell you. 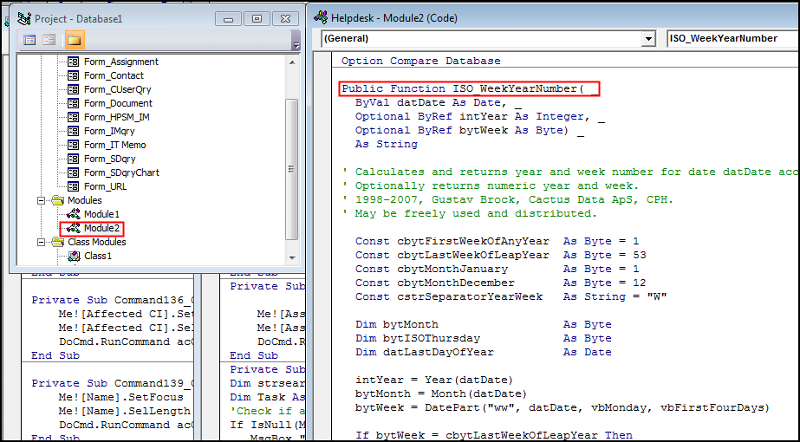 Or, you can start typing in a VBA code module or in the immediate window and Intellisense will help you. the third argument below specifies which weekday is the first day of a week. The fourth argument specifies how you want to handle the first week of the year. I chose the Jan1 option which says that regardless of what day of the week Jan1 falls on, call that week 1. So if Jan1 is a Sunday, week 1 will be just that date. Gus' function returns 2017W13 for today's date. Problem is, that Format and DatePart don't always get week 53 right. Also, both week 1 and 52/53 can belong to either a calendar year before or after New Year. Thus, you need that year part as well to sort and group correctly when data spans calendar years. That's why I included Year in my query example. Since year does not divide cleanly into weeks, it is necessary to decide how to handle the first week of the year when it doesn't start on the first day of the week and that also impacts the definition of the Last week of the year. The ISO method may be what Tamura wants but in this case, the correct answer is actually what satisfies the business users. Who knows? Questioneer is silent. Thank you, all. I'm trying to add ISO method.